Thanks to the new cooperation with das Dokuteam NordWest GmbH, Sintratec is directly connected to the powerful market of Nordrhein-Westfalen and adjoining regions. With the two existing resellers in Baden-Württemberg and Bayern, Sintratec’s partner network is covering the whole German market now. The 3D printing systems of Sintratec now are also distributed in northern Germany by the company das Dokuteam NordWest GmbH based in Nottuln near Münster. 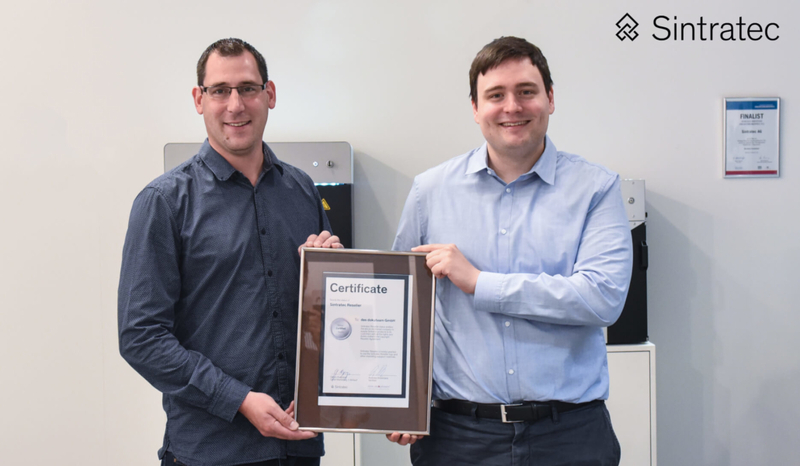 By that, the leading Swiss developer and manufacturer of selective laser sintering systems (SLS) continues to expand its presence in Germany. Besides the desktop models Sintratec Kit and Sintratec S1, Dokuteam will introduce the new end-to-end solution Sintratec S2 as well as resell the Sintratec PA12 und Sintratec TPE materials. Professional technical support completes the services of the German experts. Dokuteam is a full-service industry partner with a broad experience in professional additive manufacturing ranging from rapid prototyping through tooling up until production. In its 30-year-history the company has established a big system and service network. Knowing the northern German market profoundly, Dokuteam has continuously adapted itself to new challenges. It has elaborated its competence with great performance readiness. Besides consulting, machine leasing and rental services or job order production, Dokuteam is conducting also workshops and seminars about 3D printing not only in the SLS field (selective laser sintering), but also about FDM (fused deposition modeling) – also known as fused filament fabrication (FFF) – and SLA (stereolithography). The German additive manufacturing experts meet the need of every customer and provide them with the perfect fitting 3D printing system. Thanks to Dokuteam joining our reseller network we are able to support our customers in northern Germany with a sustainably working team of 3D printing professionals. Apart from Dokuteam, the Sintratec systems are distributed in Germany through Mann Datentechnik in Karlsruhe and Picco´s 3D World GmbH in Deggendorf, which is situated near the Czech border.